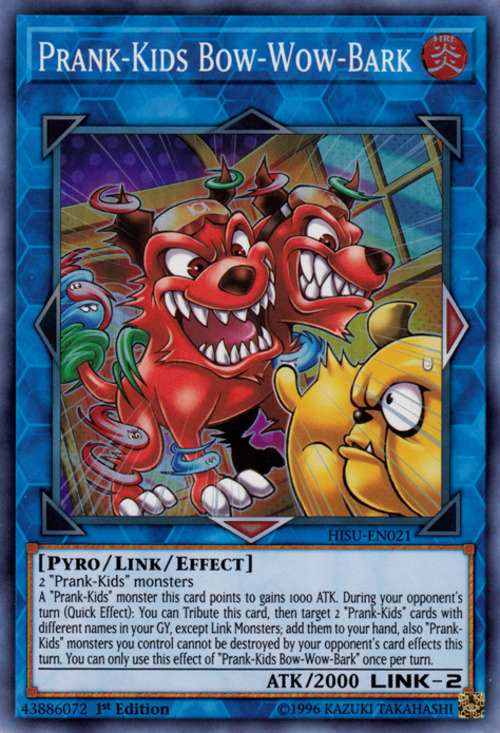 “Prank-Kids” monsters this card points to gain 1000 ATK. During your opponent's turn (Quick Effect): You can Tribute this card, then target 2 “Prank-Kids” cards with different names in your GY, except Link Monsters; add them to your hand, also “Prank-Kids” monsters you control cannot be destroyed by your opponent's card effects this turn. 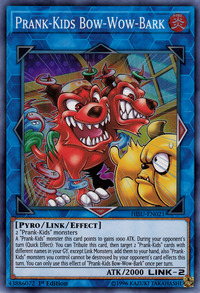 You can only use this effect of “Prank-Kids Bow-Wow-Bark” once per turn.